The M2 Machine Gun or Browning .50 Calibre Machine Gun, is a heavy machine gun designed towards the end of World War I by John Browning. 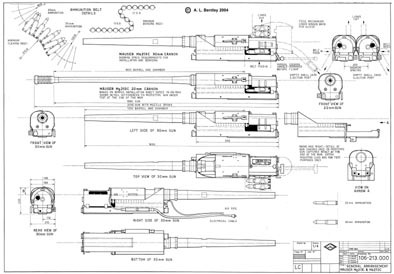 It is very similar in design to Browning’s earlier M1919 Browning machine gun, which was chambered for the .30-06 cartridge. 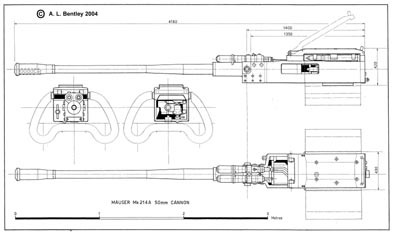 The M2 uses the much larger and much more powerful .50 BMG cartridge, which was developed alongside and takes its name from the gun itself (BMG standing for Browning Machine Gun). The M2 has been referred to as “Ma Deuce”, as a GI phonetic slang or “the fifty” in reference to its calibre. 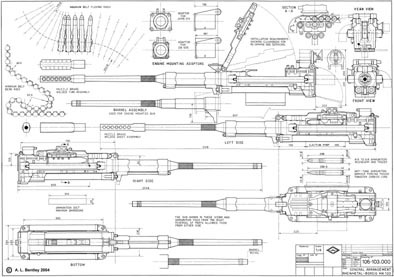 The design has had many specific designations; the official designation for the current infantry type is Browning Machine Gun, Cal. .50, M2, HB, Flexible. It is effective against infantry, un-armoured or lightly armoured vehicles and boats, light fortifications and low-flying aircraft. The M2 has had the longest continuous service for a machine gun in the world. 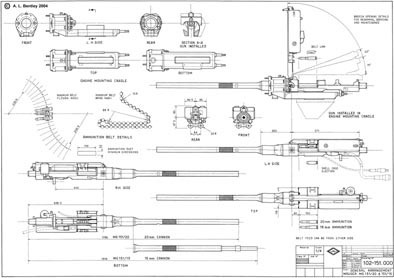 The Browning .50 calibre machine gun has been used extensively as a vehicle weapon and for aircraft armament by the United States from the 1920s to the present. It was heavily used during World War II, the Korean War, the Vietnam War, and during the Iraq War and War in Afghanistan in the 2000s and 2010s. It is the primary heavy machine gun of NATO countries, and has been used by many other countries. The M2 has been in use longer than any other small arm in U.S. inventory except the .45 ACP M1911 pistol, also designed by John Browning.